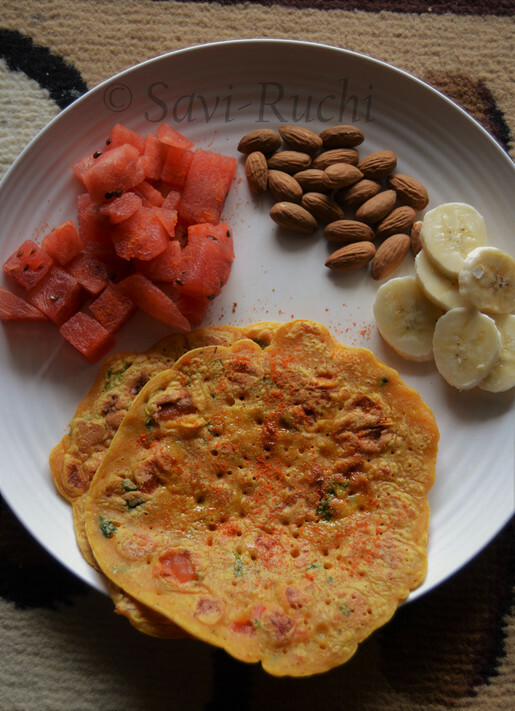 Why on earth do you need to make and egg-less omelette? Because.., there are few (rather many!!) of us who do not prefer to eat eggs. 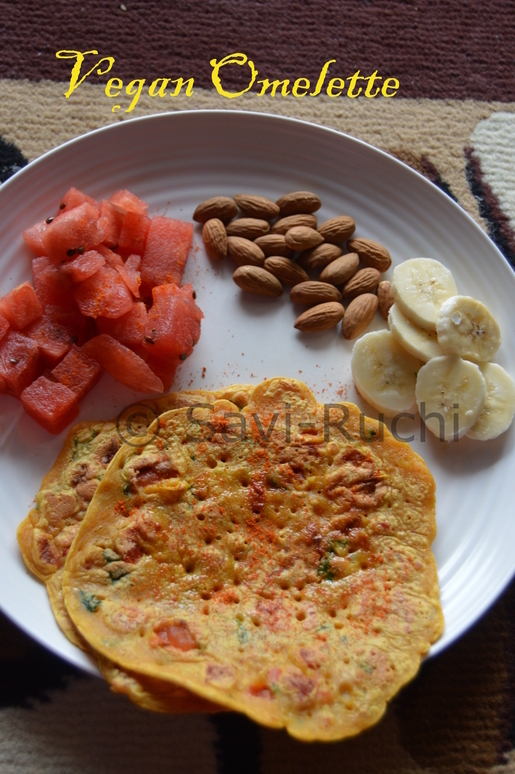 This recipe is also for kids/adults who are allergic to eggs and diary. 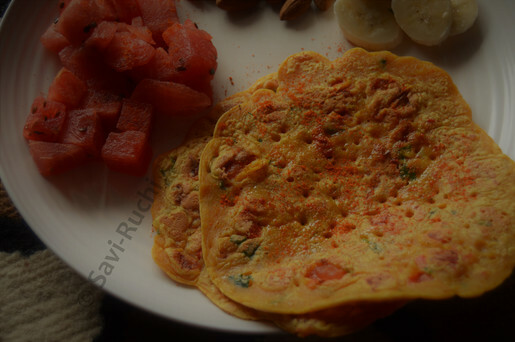 This recipe is a mock omelette recipe (just like mock duck or mock meat!!). We do not understand how risky certain food is for people(especially kids) with allergies. Can we get started now? Serves: Makes about 4 omelettes. 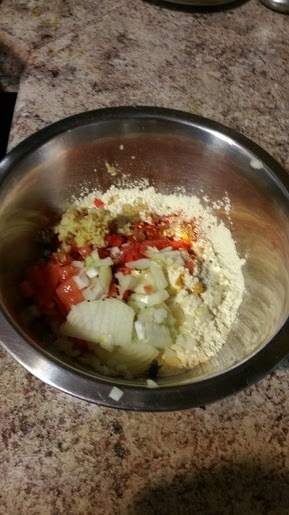 Add the red chili powder, salt, baking soda, kala namak to the flour and mix. 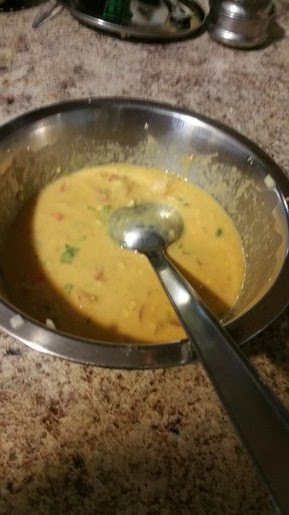 Add the finely chopped onion, tomato, pepper, cilantro and water to the dry ingredients and whisk well. Make sure there are no lumps. 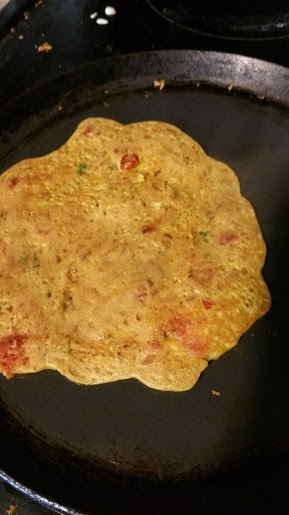 Chickpea flour easily lumps up. So, whisk well. 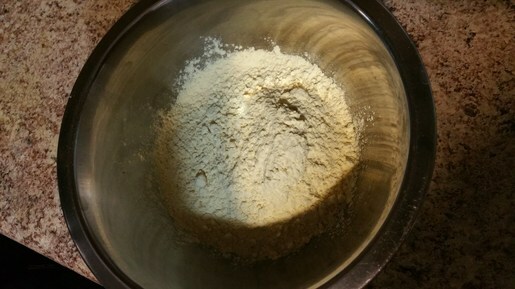 Let the batter sit for 10 mins. Meantime, heat the griddle. 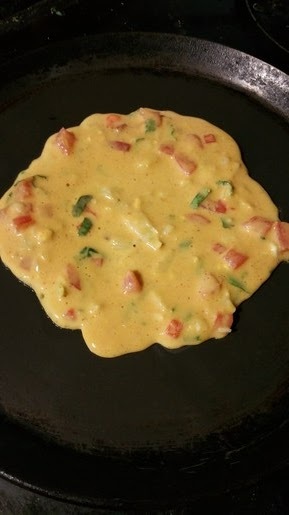 When griddle is hot, brush the griddle with oil and pour a ladle full of batter on to the griddle. Cook until golden brown on both the sides. 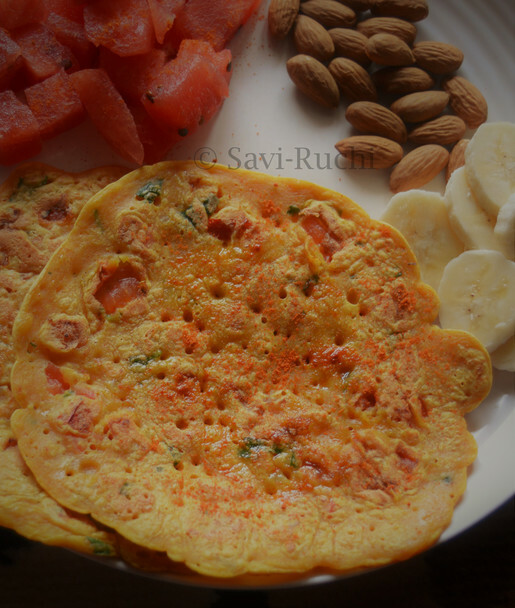 Serve it with a ketchup, green chutney or omelette placed in between bread slices. I de-seed the tomato and chop them fine. 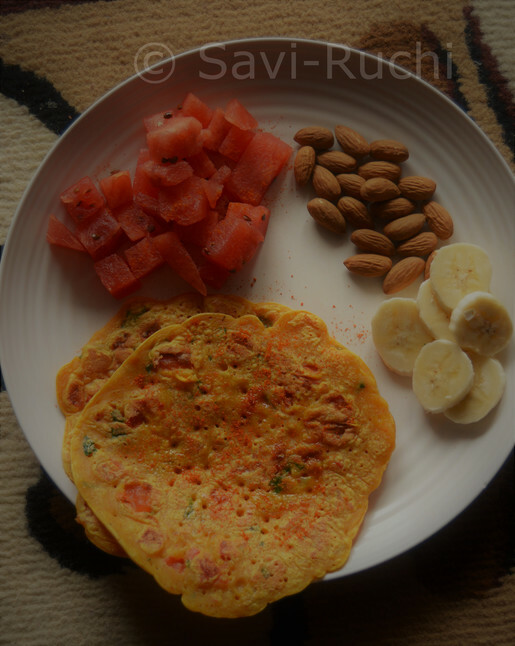 Tomato seeds and pulp would ooze out the tomato juice and impart a tomato flavor to the omelette. I do not like that. 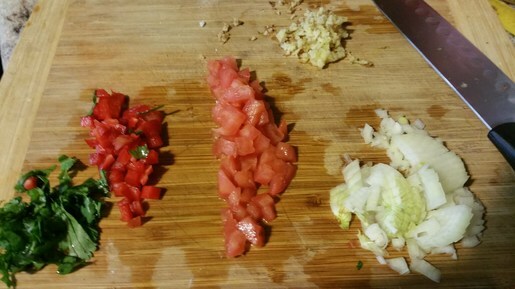 Replace red bell pepper to any other pepper of your choice or skip it. I like the taste of kala namak. You can easily find this salt at the Indian Grocers. Try adding it once. It'll impart a nice flavor.